With countless places to roam and enjoy the great outdoors, Americans are taking advantage of these opportunities, and as they go, spending significant dollars, too. New economic reports by Southwick Associates reveal that more than 53 million Americans consider themselves sportsmen, spending over $93.5 billion in 2016 on gear, licenses, travel, clothing, gas and more. A series of reports released yesterday by the American Sportfishing Association, National Shooting Sports Foundation and the Congressional Sportsmen’s Foundation show that expenditures made in 2016 for hunting, target shooting and sportfishing gear and services supported 1.6 million jobs and provided $72 billion in salaries and wages. These monies also generated nearly $20 billion in local, state and federal taxes. Much of this tax revenue benefits vital conservation and educational programs that improve our outdoor areas for all who enjoy them and make hunting and shooting safer activities. More than 28 million people over 16 years old took to our nation’s forests and gun ranges to hunt and target shoot in 2016. 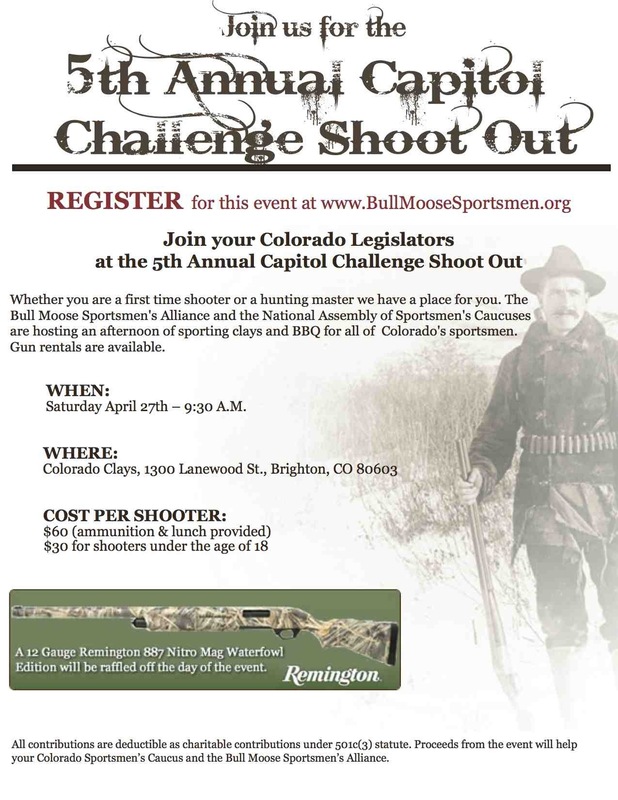 Four separate reports are available: sportfishing from the American Sportfishing Association, hunting and target shooting from the National Shooting Sports Foundation (please register as a guest when asked), plus a report for all activities combined from the Congressional Sportsmen’s Foundation. Southwick Associates is a market research and economics firm specializing in the hunting, shooting, sportfishing, and outdoor recreation markets. Celebrating 28 years in business, Southwick Associates has a strong reputation for delivering comprehensive insights and statistics to strategic decision making across the entire outdoor industry. Aside from custom market and economic information, Southwick Associates provides custom and syndicated research including customer-driven new product development, outdoor media consumption insights, and equipment purchase tracking studies. Visit www.southwickassociates.com for more information. 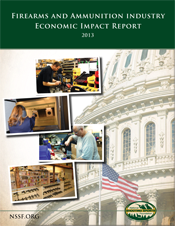 This NSSF report details the significant economic impact the firearms and ammunition industry has on the nation’s and each state’s economy. The economic growth America’s firearms and ammunition industry has experienced over the years has been nothing short of remarkable. Over the past couple of years, the industry’s growth has been driven by an unprecedented number of Americans choosing to exercise their fundamental right to keep and bear arms and purchase a firearm and ammunition. NSSF, representing manufacturers and sportsmen around the nation, takes great pride in supporting wildlife conservation efforts. Noted in the economic impact report are the significant taxes paid by member companies to federal and state governments and the Pittman-Robertson excise tax the industry pays on the products it sells — this tax is the major source of wildlife conservation funding in America. During difficult economic times and high unemployment rates nationally, our industry has grown and created over 25,600 new, well-paying jobs over the past two years. Our industry is proud to be one of the bright spots in this economy. Take a look for yourself and see the impact we have nationally and on your home state. United States companies that manufacture, distribute and sell sporting firearms, ammunition and supplies are an important part of the country’s economy. Manufacturers of firearms, ammunition and supplies, along with the companies that sell and distribute these products, provide well-paying jobs in America and pay significant amounts in tax to the state and federal governments. Economic Impact of the Sporting Arms and Ammunition Industry in the U.S.
Not only does the manufacture and sale of firearms and hunting supplies create good jobs in the United States but the industry also contributes to the economy as a whole. In fact, in 2013 the firearms and ammunition industry was responsible for as much as $37.7 billion in total economic activity in the country. John Dunham and Associates, New York, September 2013. Direct impacts include those jobs in firearms and ammunition manufacturers, as well as companies that manufacture products such as ammunition holders and magazines, cases, decoys, game calls, holsters, hunting equipment, scopes, clay pigeons and targets. Direct impacts also include those resulting from the wholesale distribution and retailing of firearms and ammunition in sporting goods retailers and variety/mass merchandise stores. This is in addition to over $2.86 billion in federal business taxes and $643.92 million in federal excise taxes. 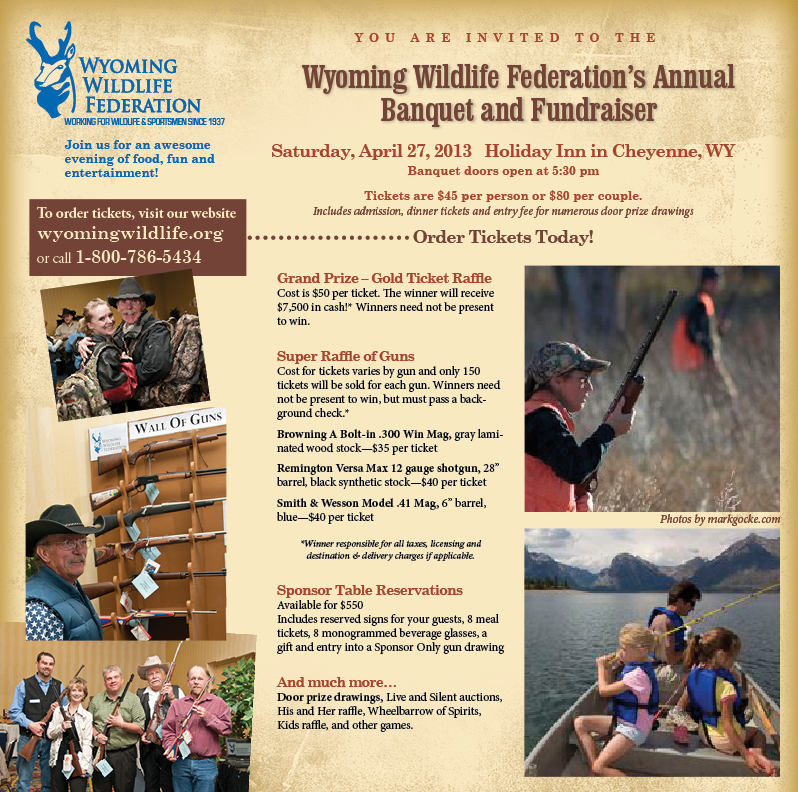 Wyoming Wildlife Federation Annual Banquet! Next week the shooting, hunting and outdoors industry again will engage in one of the largest trade shows I’ve ever experienced. The SHOT Show is the once-a-year gathering place for manufacturers, wholesalers, retailers, publishers and wildlife conservation organizations. It’s where a passion for firearms, ammunition and outdoors equipment, plus the industry’s unified support for the Second Amendment, are on display. 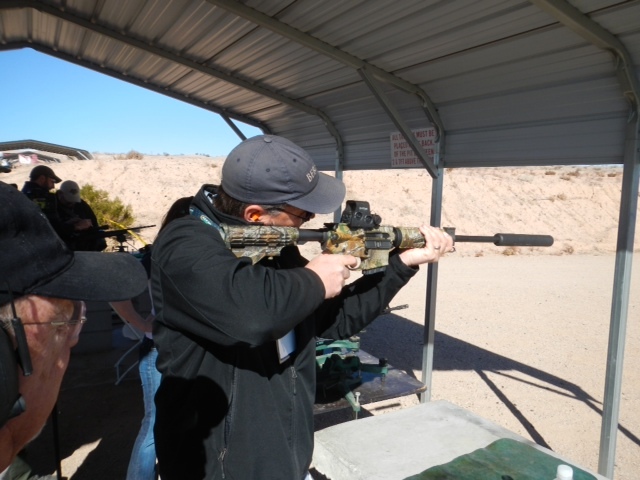 Author Lew Carpenter at SHOT Show 2012 Media Day with a Smith and Wesson M&P 15 in .300. This is the 35th annual SHOT Show. The first SHOT Show was in 1979 in St. Louis, Missouri, and more than 60,000 professionals in the shooting, hunting and outdoors industry attended SHOT Show in 2012. In addition more than 2,000 members of the outdoor and mainstream media, including international media, cover the show. It’s an incredible event, and one where today’s important issues will be discussed with, no doubt, a wide spectrum of opinions. Top-tier issues that affect this industry will certainly include universal background checks for gun buyers, modern sporting rifles and high-capacity ammunition magazines. In 2012, modern sporting rifles (like the one seen in the picture above) accelerated in popularity. This year’s show will be no different, with an abundance of peripheral accessories to compliment these popular rifles. As hunters and shooting enthusiasts we all have a responsibility to engage in honest, open discussion about the safety of our communities and family members. SHOT Show is an important gathering place where people of integrity will have these discussions. Other issues of concern to sportsmen will also be on tap. Primarily, conservation. Personally, I have been engaged for the past four years in the Vanishing Paradise campaign – a movement to restore the Louisiana wetlands. And, as many of you understand, the Mississippi River Delta supports incredible fishing and is the winter home for 70-percent of the waterfowl in the Central and Mississippi flyways. 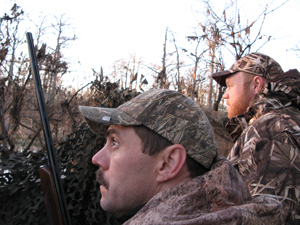 Vanishing Paradise team members Andy McDaniels and Land Tawney wait for waterfowl in the Louisiana wetlands. Due to efforts by Vanishing Paradise and other conservation organizations, The RESTORE Act last July passed through Congress with strong support from the sportsman’s community, and we can expect that most of the money (80-percent) from any Clean Water Act fines will be sent back to the states affected by the spill. Unfortunately, the oil spill isn’t over—and America’s hunters and anglers know it. Every week it seems that scientists discover a previously unknown consequence of the spill. For example, scientists recently announced that species like mahi mahi—if even briefly exposed to small amounts of oil while still in their eggs—grow up unable to swim as fast as unexposed fish. It is not surprising that in one recent poll, 81% of hunters and anglers said they thought BP should pay the maximum penalty for their role in the spill. Last month, the Department of Justice hammered out a plea agreement where BP agreed to pay $4.5 billion to settle the criminal claims against it. Importantly, the company also acknowledged negligence in the deaths of 11 rig workers. But this criminal settlement doesn’t mean it is all over—far from it. The Justice Department is still pursuing civil claims against BP under our nation’s environmental laws. If found guilty of gross negligence at trial—and Justice seems to think it has a strong case—BP would face fines in the range of 20 billion under the Clean Water Act alone. The company also faces billions of dollars in assessments under the Oil Pollution Act. This law requires the company to pay the costs of restoring the Gulf back to the condition it was in at the time of the disaster. To give you a sense of the potential scale, if BP paid the same amount per gallon as Exxon did in the Valdez case, we’d be looking at roughly $30 billion dollars for restoration. These may seem like large numbers, but it will take an investment on this scale to make the Gulf whole again. It is the Department of Justice’s job to see that BP is held fully accountable. And it is our job, as hunters and anglers, to keep the heat on the Justice Department to make sure it happens. Please speak up and demand that BP own up to its carelessness in the Gulf and that the Justice Department hold the company fully accountable. America’s hunting and fishing legacy depends on it. Finally, SHOT Show is a place to reconnect with old friends. And although there are too many to list here, I’m going to take a moment to highlight two great partners who have helped with the Vanishing Paradise campaign and whose senior leadership have been friends of mine for decades. RealTree Camo has developed the industry’s most realistic pattern ever. 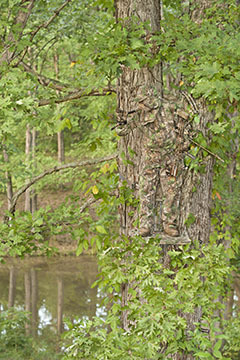 Last week the company unveiled its new camo pattern, Realtree Xtra, also available in Realtree Xtra Green. The breakthrough in camo pattern realism comes from a combination of design and printing technology that delivers three distinct fields within one camo pattern: a foreground, mid-ground, and background. “New Realtree Xtra and Xtra Green truly live up to their names, giving hunters extra effectiveness in the field,” said Realtree Designer and President Bill Jordan. “All throughout the development process, we focused on creating incredible depth, visual confusion and 3D effects in the pattern mid-grounds and backgrounds while still retaining total sharpness and detail in the foreground elements. The result is as close to nature as we’ve ever gotten.”The Realtree Xtra and Realtree Xtra Green camo designs feature 12 warm, natural colors-one with more green. The new designs provide all-season utility for hunters and outdoorspeople. Its subtle shadows, highlights, and textures blend with more terrain and lighting conditions than any other camo pattern available and make Realtree Xtra the most versatile camo on the market. And our friends at Plano Molding have completely remodeled the Plano website. The new and improved version showcases all Plano products and is much easier to navigate. It also features videos and articles by members of Plano’s pro staff and highlights products that they personally endorse. Head on over to www.planomolding.com and have a look around. Hope to see you all at SHOT Show 2013 and safe travels to the City of Sin! The U.S. Fish and Wildlife Service (Service) joins the Association of Fish and Wildlife Agencies (AFWA), and other partners at the 2012 SHOT Show to announce the start of a yearlong celebration of the 75th anniversary of the Wildlife and Sport Fish Restoration Program (WSFR), one of the most significant and successful partnership approaches to fish and wildlife conservation in U.S. history. The “WSFR 75 – It’s Your Nature” celebration brings together federal and state fish and wildlife agencies; the hunting, shooting, angling, and boating industries; and conservation groups to mark a milestone of partnership success that has led to 75 years of quality hunting, fishing, shooting, boating and wildlife-related recreation. The occasion also marks the beginning of a new era in wildlife conservation, during which the partners will establish new goals for fostering and maintaining partnerships to continue conservation and outdoor recreation into the next 75 years and beyond. Through the WSFR program, several innovative and foundational fish and wildlife conservation programs are administered. The first was created on September 2, 1937 when President Franklin D. Roosevelt signed the Federal Aid in Wildlife Restoration Act, which raises funds through a dedicated excise tax on sporting guns and ammunition. In 1950, the Federal Aid in Sport Fish Restoration Act was enacted and added to the WSFR program. 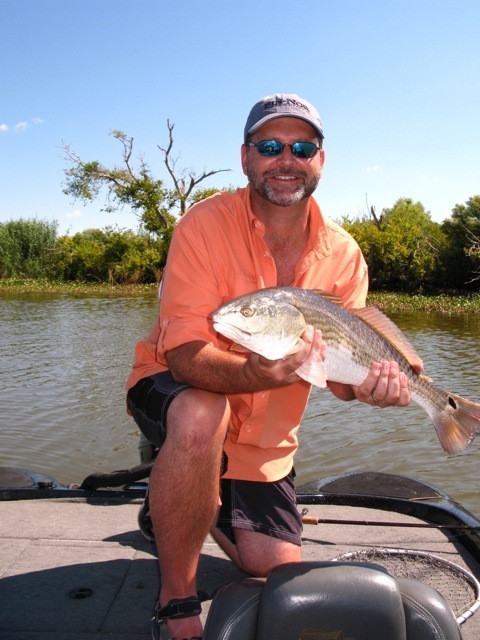 Through this law, funds are provided for fish conservation and boating and fishing recreational programs in each state through an excise tax placed on certain fishing and boating equipment and fuels. These funds, administered by the Service, are combined with hunting license dollars in each state to fund important state wildlife conservation and hunting programs. Industry and agency partnerships have helped to the successes of the WSFR program to become what it is today. The WSFR 75th anniversary will include participation in various fish and wildlife conservation events and conferences throughout the year, to culminate with National Hunting and Fishing Day in September 2012. The mission of the U.S. Fish and Wildlife Service is working with others to conserve, protect, and enhance fish, wildlife, plants, and their habitats for the continuing benefit of the American people. We are both a leader and trusted partner in fish and wildlife conservation, known for our scientific excellence, stewardship of lands and natural resources, dedicated professionals, and commitment to public service. 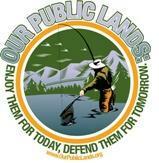 For more information on our work and the people who make it happen, visit http://www.fws.gov. Connect with our Facebook page at http://www.facebook.com/usfws, follow our tweets at http://www.twitter.com/usfwshq, watch our YouTube Channel at http://www.youtube.com/usfws and download photos from our Flickr page at http://www.flickr.com/photos/usfwshq.